Meal Planning might sound like a daunting task that includes Excel sheets and trying to plan ahead for what you’ll be craving come Wednesday night, however it doesn’t have to be so complicated. Meal planning can be as simple as prepping for the day ahead, or grocery shopping with a conscious list. These simple tweaks can help you save money, unwanted calories, and give you greater energy sans snacks. Plan on going grocery shopping once per week for your major “stock”, and allow yourself a couple of other trips to pick up smaller items. Before your big trip, clean out the refrigerator. If you’re celery has become more wilted than eaten, don’t re-buy. 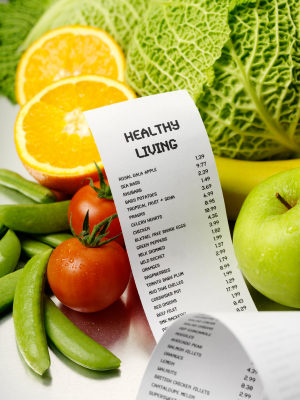 Make a shopping list full of clean, healthy foods that you will eat throughout the week. Studies show that if you go in without a list, you will purchase 30% or more of impulse buys. Eggs, yogurt, chicken breasts, smoked salmon, bagged lettuce, cherry tomatoes, apples, berries, and whole grain crackers and bread are always healthy picks. Try to choose things that you can use in different meals- add strawberries to yogurt for breakfast, or pair with walnuts and goat cheese in a salad. When you do shop, shop the perimeter! Stick with things that are healthy and fresh- usually if something has an expiration date, it’s going to be good for you. Find grains and condiments in the center aisles, and try to stray away from pre-packaged novelty items which are costly for your wallet, and your waistline. Find a routine that you like- as this is the easiest way to track your budget, weight, and energy levels. Know your favorite, simple breakfast- whether it’s an omelette, yogurt with fruit and nuts, or toast with nut butter. Stick with doing a salad or wrap for lunch, and pair a protein with veggies and grains for dinner. Try to continue with your routine for a little while, while playing with small variations on the theme. Keep it simple, while mixing in fun recipes or dinner outings when you do have the chance. And by back-up team, I mean, tupperware, ziploc bags, and a lunch bag. These small additions to your kitchen will aid you in making healthier choices and feeling more prepared. Once you have tupperware, you can make basic foods ahead of time, such as: couscous, quinoa, roasted vegetables, and hard-boiled eggs, which you can add to your meals later. 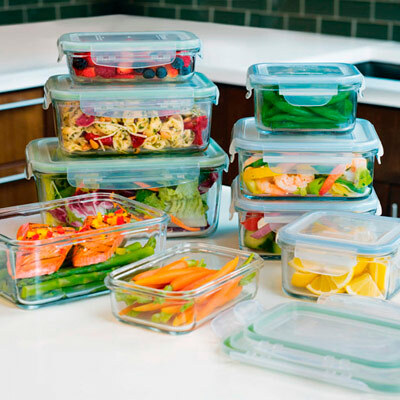 Tupperware will also allow you to bring your own food to work. Pack your lunch as well as a small snack, such as a piece of fruit, cashews and dried figs, or cheese. You’ll spend less money and time on to-go orders, and if you have a healthy snack on hand, you won’t feel starving come 5:00 p.m. Try to avoid waiting too long between meals, as a growling stomach produces the hormone gherlin, which causes you to overeat and find difficulty reaching satiety once you do come in contact with food. One of the best things about making your own food is that you know all of the ingredients you are eating! When you order takeout, you’ll never know if the produce is organic or meat is free range and free of antibiotics. Honor yourself by taking the time to know what you’re ingesting. Not only will you have peace of mind knowing that the food is fresh and good for you, but you will also be better able to estimate how many calories you are consuming. This rule begins in the grocery store- make sure you are buying foods with few ingredients, all of which you can pronounce, and are free of the Top 10 Food Additives to Avoid: http://www.foodmatters.tv/_webapp_427697/Top_10_Food_Additives_to_Avoid. Hopefully this information will help you reach your wellness goals- whether they be eating better, feeling more energized, or optimizing your budget and time. If you’re interested in more in-depth information and services, the studio is now offering grocery store tours, which will help you navigate the aisles and meal plan based on your individual needs. Contact a concierge or leave a comment below if you would like more information. We’d love to help you meet your health goals!